Learn how to make fossils for a fun-filled activity with your kids! 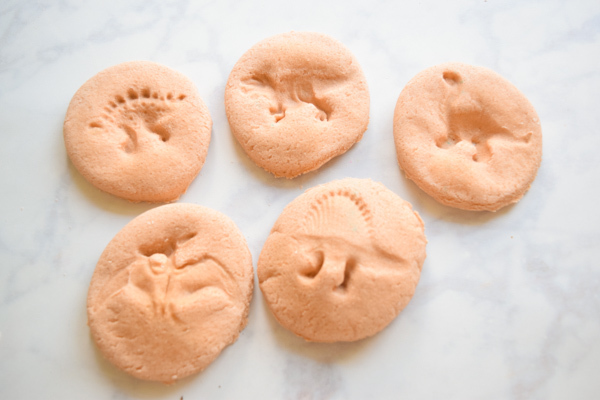 These dinosaur fossils are perfect for birthday parties or an afternoon craft! My kids and I love making things together, especially if it involves learning (at least I think so). Summer has officially arrived and we have started on our list of activities we can do when it’s too hot to play outside. 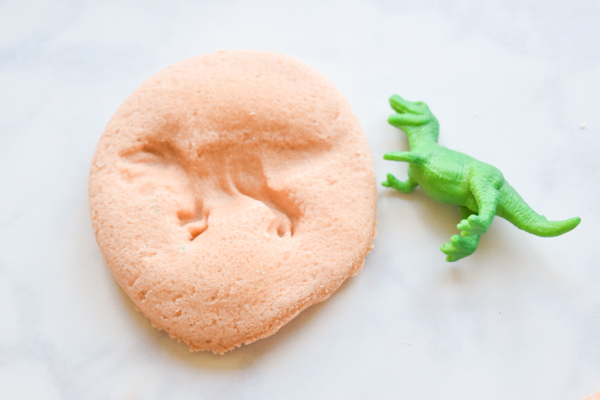 Today, I’m sharing how to make fossils, specifically dinosaur fossils! My kiddos love learning about dinosaurs and finding fossils. When we venture up into the mountains, they are always on the lookout for them. Usually, if we’re lucky, we find a trilobite because they are everywhere in Northern Utah. But that doesn’t mean we can’t discover a T-Rex too! Here’s how to make your own fossils for your dinosaur fan! 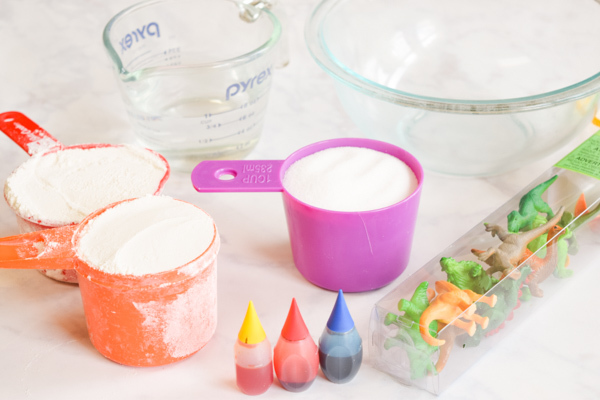 This activity uses a kid classic: salt dough. It honestly doesn’t get any easier than that! You will also need some mini dinosaurs. We found a tube of them at Michaels and they were the perfect size. You can also find them on Amazon! Your kids can get in on helping make the salt dough, so this is an involved activity from start to finish. All you need for salt dough is 2 cups of flour, 1 cup of salt, and 1 cup of water. Because we wanted to color or fossils brown, we used red, blue, and yellow food coloring all mixed together in the water. First, mix the salt and flour in a bowl until well blended. Add the food coloring to the water and mix it well until it becomes brown (I used about 3 drops of each color). Add the water to the dough a little at a time until a dough forms. I wouldn’t add the water all at once, just in case you don’t need all of it. Next, remove the dough from the bowl onto a floured surface and knead for at least 5 minutes. The longer you knead it, the smoother it will be! Once the dough is ready, grab your rolling pin and roll the dough out until it’s about 1/2 inch thick. The thickness will help with getting a deeper imprint into the dough. 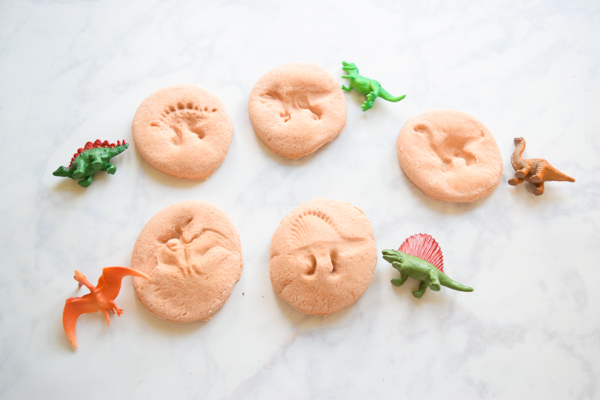 Use a glass or round cookie cutter to cut out circles, making sure they are big enough for your dinosaurs. We got about 10 circles from our dough. Now, grab the dinosaurs you want to use. Put them on their side and gently push each one into one of the salt dough circles. Push them in enough to leave a nice imprint but not hard enough to put a hole through the dough. You can let your fossils air dry, which takes a couple of days. Or you can bake them at 200 degrees for 2-3 hours or at 300 for about an hour. The higher the heat, the more brown your fossils will be. Once they are hardened, you have some fun fossils to play with! My kids will end up painting theirs because they paint everything! This would also be a fun dinosaur party craft. Or an activity for a play date! You could even punch holes in the tops before you dry them and make dinosaur fossil ornaments. Allow your imaginations to run wild. Try imprinting leaves or even creating footprints in your fossils. I hope your family will enjoy how to make fossils as much as we do! I would love to hear what activities your kids like to do too. 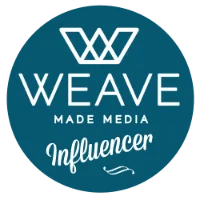 Leave a comment and share!